We are situated on Langsett Road which runs adjacent to A61 Penistone Road travelling towards Hillsborough from the City Centre area. Take a left turn at Bamforth Street (opposite Toyota Dealership) then take the first left on Cuthbert Bank Road, at the junction turn right and you can’t miss us on the right. 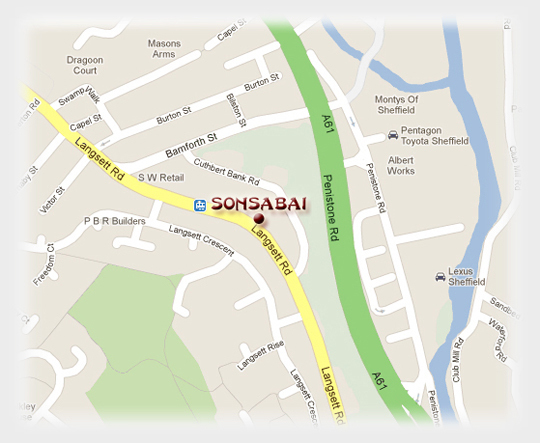 Sonsabai is on the main Hillsborough tram route with a tram stop 100 yards from our premises.